The head of the Roscosmos State Space Corporation said that he would like "to see the annual number of launches reach ten"
MOSCOW, August 15. /TASS/. 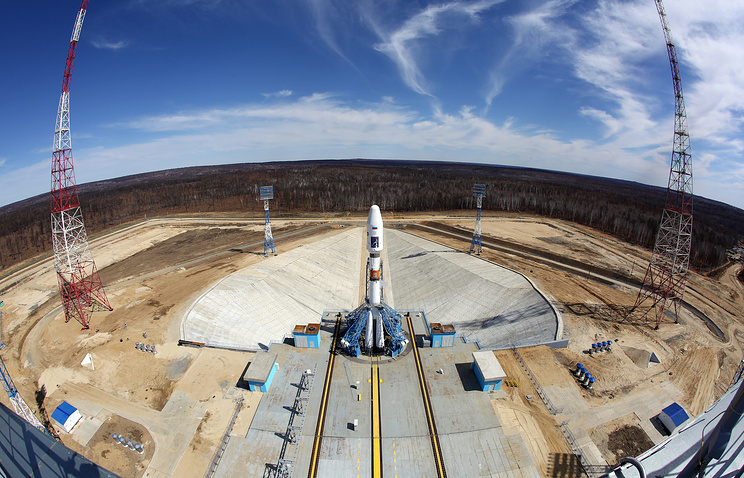 The number of space launches from Russia’s Far Eastern Vostochny Cosmodrome will double in 2018 compared to 2017, head of the Roscosmos State Space Corporation Igor Komarov told the Rossiya 24 TV channel. He added that the corporation planned to raise the number to six or seven in 2019. "As for the next year, we have plans to increase the number of space launches to four or five, while in 2019, we will start implementing commercial contracts with OneWeb, which are going to be signed, and increase the number of launches to six or eight," Komarov said. The Roscosmos head also said that he would like "to see the annual number of launches reach ten," but "under the current conditions, four to six launches are enough to ensure that the spaceport operates normally." According to Komarov, all the construction work concerning the launch site, technical complex and security system will be completed late in the year or by February 2018. The Roscosmos head said earlier that two space launches were expected to be conducted from the Vostochny Cosmodrome in December 2017. 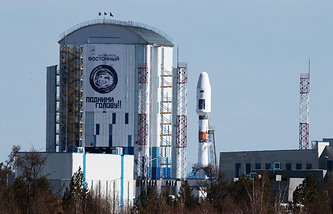 The first launch from the new Russian spaceport was performed in late April 2016, when a Soyuz-2.1a carrier rocket delivered three satellites to orbit.